Now that it's summer time, our kids are always on the lookout for some merienda snacks. 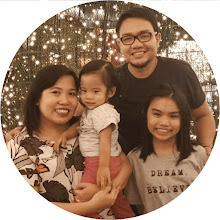 Every lunch time Sofi would ask me what's gonna be our merienda. Haha! 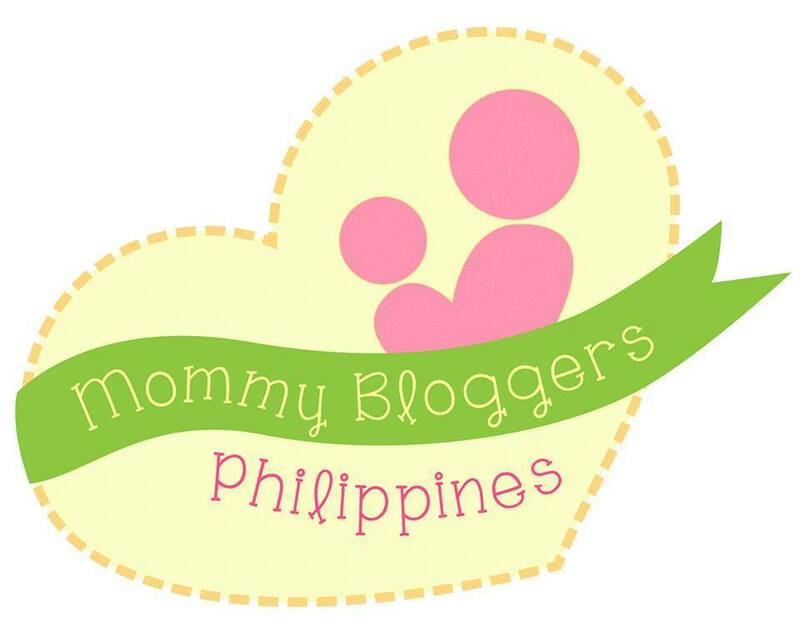 But I'm sure all mommies will agree that more than offering something delicious, we want their snacks to be nutritious, too. Right, moms? And since we want to give them nothing but the best, we want their everyday snack worthy of approval. And here comes the Kinder brand that is known across the world for its creative take on children's snacks. 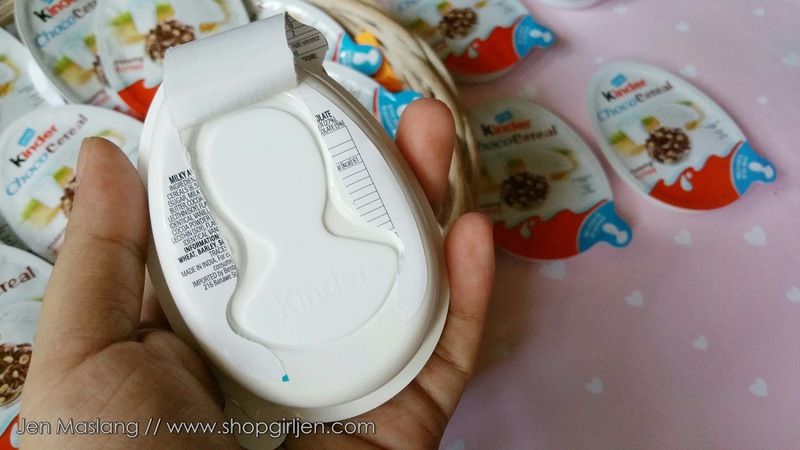 And for over 40 years, Kinder is a favorite among kids and parents, too. 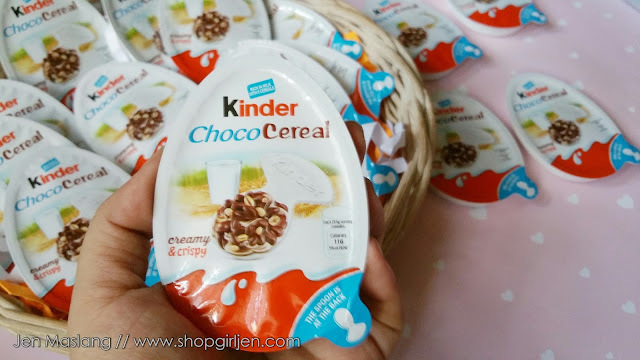 Kinder Choco Cereal is a nutritiously yummy snack that makes everyday merienda a happy and memorable experience for children. Featuring a unique combination of rich smooth milky cream, chocolate, and five types of crispy cereals - Rice, Barley, Wheat, Sorghum, and Millet, which make Kinder Choco Cereal both creamy and crispy to the taste. 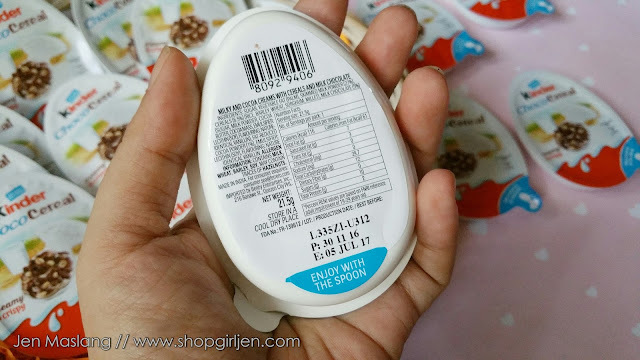 We love that it comes with a spoon, so convenient to eat any time when hunger strikes, and can bring anywhere. 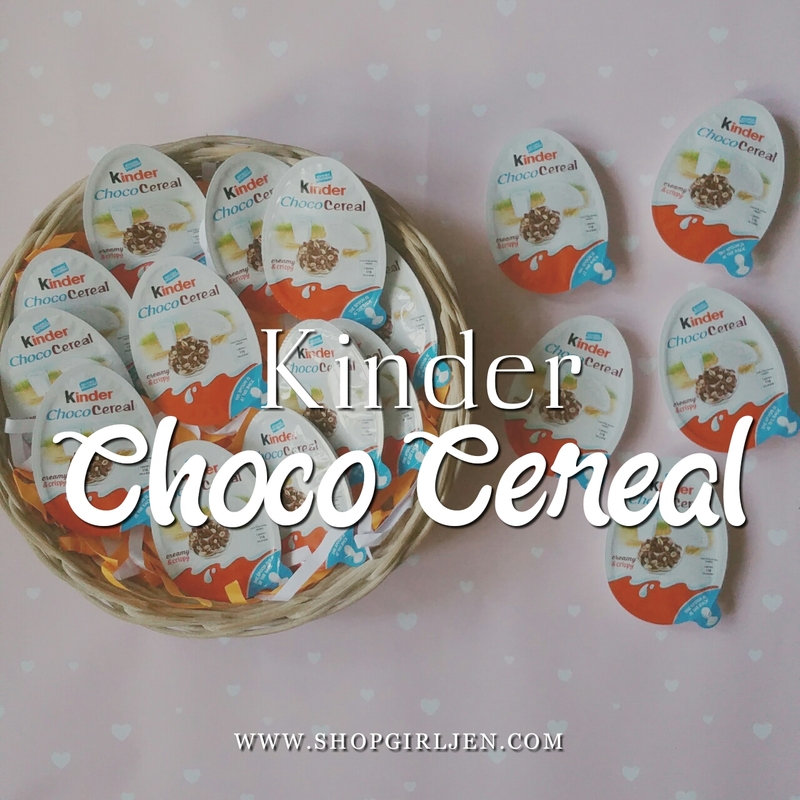 Since Sofi and I love dessert after every meal, Kinder Choco Cereal is the perfect alternative sweet treats that not only yummy but nutritious too. With the combination of chocolate goodness and crispy cereals, Kinder Choco Cereal is the nutritious snack moms trust and approve! Try it! Your kids will definitely love it! 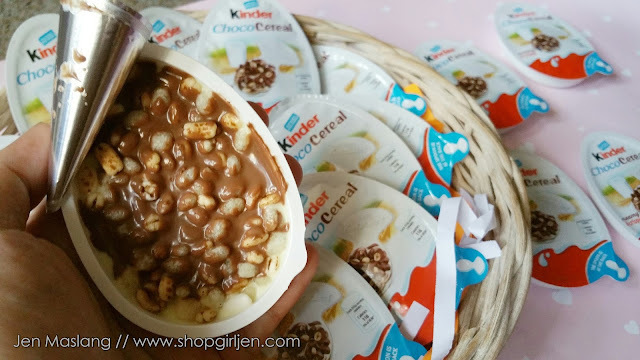 Kinder Choco Cereal is now available at hypermarkets and supermarkets nationwide.